At a time of serious attacks on Catholic belief and life in most parts of the world, it is possible to miss the shoots of new life. Perhaps one of the least noticed but brightest blooms, ANTHONY DOYLE points out, lies in the radical change in Jewish-Catholic relations in the past century. Perhaps some older Catholic Voice readers will recall the tensions that existed between Catholics and Jews in years past and how these tensions extended to outright hatred in parts of Eastern Europe and elsewhere. The almost complete disappearance of this ancient prejudice in the heart of Catholicism has many contributors but three causes stand out. First, on one hand the shocked realization at the end of the Second World War that the Nazi hatred that caused the Holocaust was in at least in some part occasioned by past Christian Anti-Semitism. Catholics realized that hostility to Jewish people was utterly wrong and that we bore at least some responsibility for it. On the other side, while later conspiracy theorists would try to paint the Pope of World War II, Pius XII as anti-Semitic, Jewish leaders in 1945 had no doubts that the Pope had supported them. This was echoed in 1958 by Golda Meir later President of Israel who praised the late Pope at the United Nations. [T]his Synod, in her rejection of injustices of whatever kind and wher­ever inflicted upon people, and recalling our common patrimony, deplores and condemns hatred and persecutions of Jews, whether they arose in former or in our own days. Finally there was the prophetic witness of Pope Saint John Paul II. Throughout his life the former Carol Wojtyla championed the cause of the Jewish people. Beginning with warm childhood friendships and in his protec­tion of Jewish children during the Nazi occupation of Poland in World War II, John Paul witnessed the Catholic respect for Jews called for in Nostra Aetate. We are deeply saddened by the behaviour of those who in the course of history have caused these children of yours to suffer, and asking your forgive­ness we wish to commit ourselves to genuine brotherhood with the people of the Covenant. As with any ongoing relationship, tensions from time to time emerge. Attempts by neo-Nazis and others to smear Pope Pius XII as being a support­er of Hitler caused disquiet but have been steadily demolished by credible historians Jewish and Catholic alike. The canonization of St Edith Stein a convert from Judaism and Carmelite who was murdered at Auschwitz was another source of tension as is the vexed issue of Palestinian-Israeli relations. However such disagreements are now better characterized as disputes between friends rather than ancient enmities. Pope Benedict XVI and Pope Francis have maintained and nurtured the ongo­ing relationship between Catholics and Jews and have received equally warm responses from Jewish leaders. In an age where anti-Jewish hatred has flooded the Islamic world, where the leader of the Labour Party in Britain has publicly supported anti-Semitism and where Jewish students in Australian universities are threatened, Catholics must follow the example set by John Paul and never allow these evils to happen again. 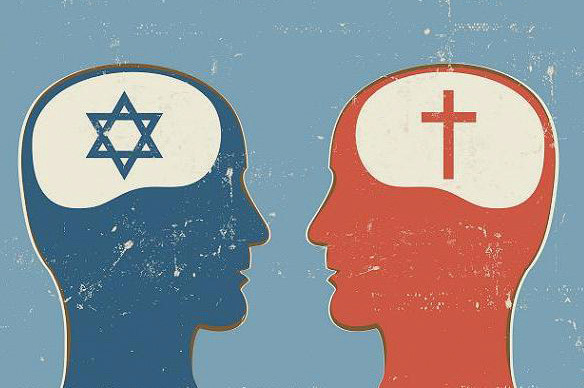 In purely human terms it is difficult to adequately explain the relatively rapid rapprochement between Catholics and Jews. It stands as a beacon of hope for the Church and the world. If this seem­ingly intractable problem can be broken down by the realization of the terrible effects of a sin and the determination of good people, under the inspiration of the Holy Spirit, to forever renounce it, then in the providence of God what great good might yet be around the corner? Anthony Doyle has degrees in History, Law, Theology and Christian Leadership. In 2011, he received a Gandel Scholarship to Yad Vashem, the Holocaust Memorial in Jerusalem.